Sunita Chandrasekaran, an assistant professor in computer and information sciencesat the University of Delaware, and Robert Searles, a doctoral student in computer science, answered the call. 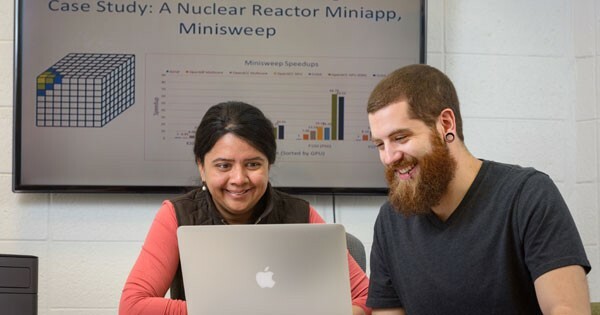 This work in collaboration with ORNL scientists Oscar Hernandez and Wayne Joubert uses OpenACC to adapt Minisweep to run accurately and quickly on Titan, the world’s fifth largest supercomputer, which is housed at ORNL. Their work is also being used in benchmarking for the Oak Ridge Leadership Computing Facility’s new Summit supercomputer.